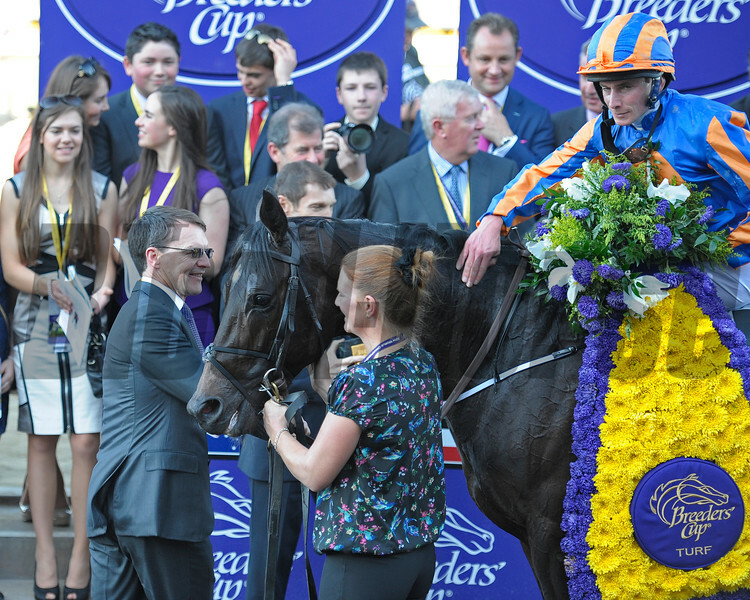 Caption: Aidan O'Brien with horse in winner's circle. Magician with Ryan Moore with Breeders' Cup Turf, gr. I.